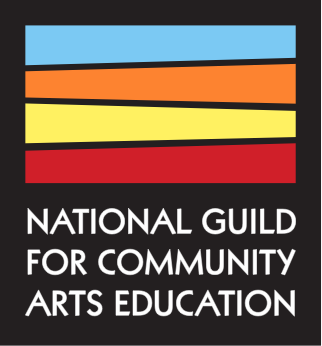 Engaging Adolescents: Building Youth Participation in the Arts is the result of the National Guild’s research on effective practices throughout the multi-year Engaging Adolescents initiative, designed to increase teen participation in arts education. In 2010, the Arts Infusion Initiative, a model for social change that aimed to connect detained youth and those at risk for incarceration to rigorous and engaging arts instruction, was launched with the support of the Chicago Community Trust. Creativity Matters is designed to increase the expertise of those who direct existing community arts and aging programs and to give others in the community the tools to take the first step—and keep going. More Than the Sum of Its Parts: Collaboration and Sustainability in Arts Education compiles inspiring examples of thriving partnerships whose creative strategies not only multiply the benefits of arts education but also help sustain their own work for years to come. A 2014 document that articulates the purpose and value of arts education in a balanced curriculum for all students, asserting its place as a core academic subject area. A handbook intended to help leaders in both community arts schools and public schools understand what partnerships are, what benefits they offer, and how to structure and manage them. What are some creative approaches to meeting the increasingly urgent need for philanthropy to support frontline advocacy and organizing for justice? The ALAANA Network hosted a funders community conversation that explored ways funders are operating in a changing environment. Building on the experience of the Partners in Excellence (PIE) program, this report highlights three case studies of arts organizations—Abrons Arts Center, Fleisher Art Memorial, and MacPhail Center for Music—implementing exemplary K-12 partnerships. This report explores qualities of successful K-12 partnerships funded by the MetLife Foundation Partners in Arts Education (PIAE) program. It can be used by arts organizations, schools, funders, and advocates to learn about building and sustaining high-impact partnerships with K-12 schools.